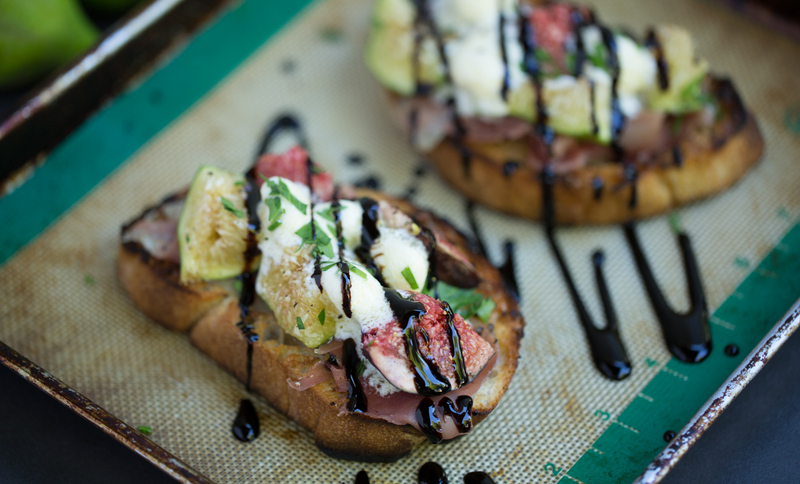 No matter how I slice it, this bruschetta will bacon me crazy. With each goat cheesey bite, it melts my heart. Drizzle each toast ever so lightly with the olive oil and add a slice or two of prosciutto on top (we like to tear the prosciutto into smaller pieces). Plop the fig quarters on top of the prosciutto. Dot lovingly with goat cheese. Switch the oven to broil, and put the toasts on to a baking sheet. Broil for a minute or two melt and brown the cheese. Put on a plate, sprinkle with chopped rosemary, drizzle with a little more olive oil – a light touch! The balsamic reduction also looks and tastes great. Say “You’re the ham to my sandwich” with a Hipcooks Gift Certificate! 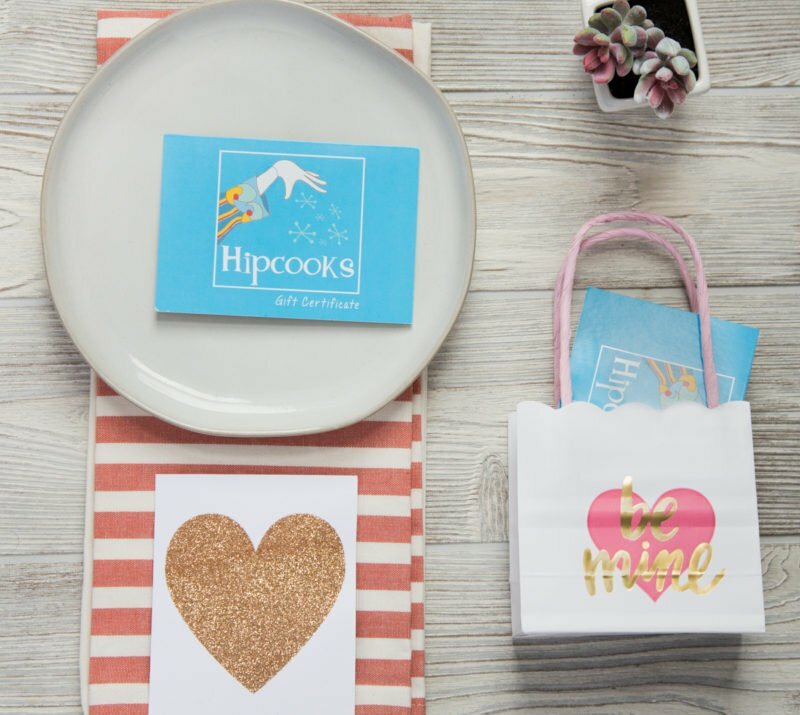 Our Gift Certificates never expire & if your Piglet is well, shall we say, challenged in the kitchen, then Hipcooks is a super-fun way to ham it up, inspire & engage. Hipcooks students love to practice on their Best Beloveds, so it’s a win-win for you, Pork-u-pine.